Unfortunately car batteries don't schedule a time to quite working. We offer an emergency battery replacement at your location. Our technicians are smart and have been in a situation or two themselves. 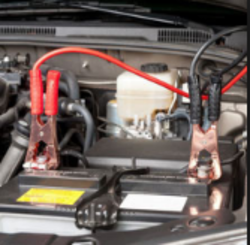 So if you call and we find that it's not your battery, we will either fix the problem on the spot or if need be tow you to a garage of your choosing. Keep our number handy and we will make sure to be ready when you need assistance with your ride! Call Us For Immediate Service (207)618-9998 Or Fill Out The Quick Response Form And We Will Contact You ASAP!